Casting circles are used to conjure dangerous and unpredictable forces. In Marrow, two estranged sisters—a bulimia survivor and a grad student researching witchcraft trials—cast a circle. As they delve into their conflicted past, they expose each other’s fault-lines. 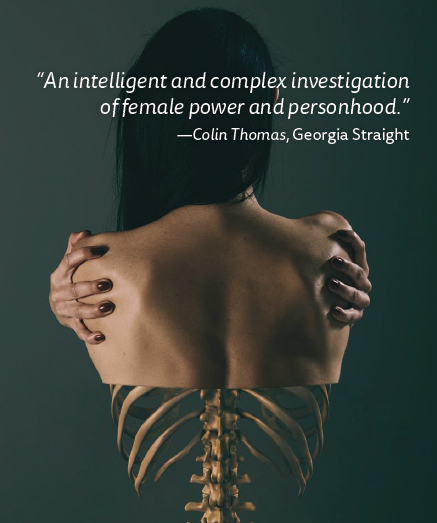 Marrow is an imaginative and emotionally charged drama inspired by playwright Veronique West’s personal survival from anorexia and fascination with witchcraft. It subverts eating disorder stereotypes with playfulness, power and compassion. Resounding Scream Theatre challenges audiences and inspires conversation by producing theatre that questions how our society has been shaped. Past projects include Listen to Me (Undercurrents Festival), Back Away Slowly (with Theatre Replacement), Hive: The New Bees, and Plunge (emerging artists festival). Alley Theatre stages socially-conscious stories that are seldom told in an accessible, empowering, and surprising context. The company has received five Jessie Richardson Award nominations and is a winner of The Cultchivating Award.